Επανακυκλοφορεί μετά από 28 χρόνια ο δεύτερος δίσκος των Attika, "When Heroes Fall". Το album πρωτοκυκλοφόρησε (σε κασέτα) το 1991, δύο χρόνια αργότερα "βγήκε" σε cd από την Massacre Records, ενώ το 1994 κυκλοφόρησε (πάλι σε cd) στην Ιαπωνία από την Metal Mania. Δελτίο τύπου: «Attika comes from the same age as Ohio's RitualL, whose re-release of 'Trials Of Torment' was recently released by Pure Steel Records. 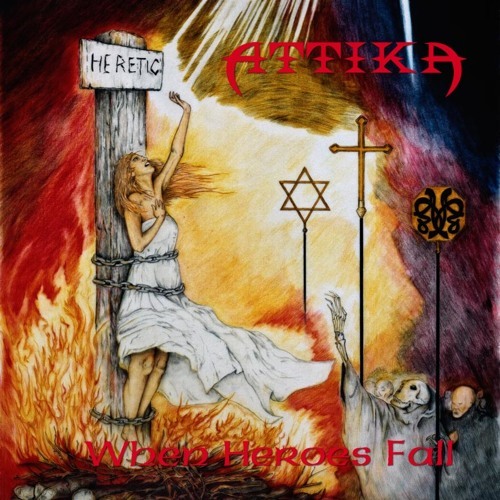 'When Heroes Fall' by Attika saw the light of day already in 1991 as cassette-only production, but only two years later - as well as the debut of Ritual - was officially released by their former record company on CD.